IGN (formerly Imagine Games Network) is a San Francisco–based games and entertainment media company operated by IGN Entertainment Inc., a subsidiary of j2 Global and wholly owned by Ziff Davis. and headed up by its former editor-in-chief, Peer Schneider. The website was the brainchild of media entrepreneur Chris Anderson and launched on September 29, 1996. It focuses on games, films, television, comics, technology, and other media. 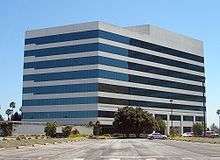 The company is located in San Francisco's SOMA district in California, United States. Originally a network of desktop websites, IGN is now distributed on mobile platforms, console programs on the Xbox and PlayStation, FireTV, Roku, and via YouTube, Twitch, Hulu, and Snapchat. In February 1999, Imagine Media incorporated a spin-off that included IGN and its affiliate channels as Affiliation Networks, while Simpson-Bint remained at the former company. In September, the newly spun-out standalone internet media company, changed its name to Snowball.com. At the same time, small entertainment website The Den merged into IGN and added non-gaming content to the growing network. Snowball held an IPO in 2000, but shed most of its other properties during the dot-com bubble. IGN prevailed with growing audience numbers and a newly established subscription service called IGN Insider (now: IGN Prime), which led to the shedding of the name "Snowball" and adoption of IGN Entertainment on May 10, 2002. On February 4, 2013 after a failed attempt to spin off IGN as a separate company, News Corp. announced that it had sold IGN Entertainment to the publishing company Ziff Davis, which was recently acquired by J2 Global. Financial details regarding the purchase were not revealed. Prior to its acquisition by UGO, 1UP.com had previously been owned by Ziff Davis. Soon after the acquisition, IGN announced that it would be laying off staff and closing GameSpy, 1UP.com, and UGO in order to focus on its flagship brands, IGN.com and AskMen. The role-playing video game interest website Vault Network was acquired by IGN in 1999. GameStats, a review aggregation website, was founded by IGN in 2004. GameStats includes a "GPM" (Game Popularity Meter) rating system which incorporates an average press score and average gamer score, as well as the number of page hits for the game. However, the site is no longer being updated. The Xbox interest site, TeamXbox, and the PC game website VE3D were acquired in 2003. IGN Entertainment merged with GameSpy Industries in 2005. The merger also brought the game download site FilePlanet into the IGN group; as of 2011 both FilePlanet and the GameSpy website still operate as video game-related web sites. IGN Entertainment acquired the online male lifestyle magazine AskMen.com in 2005. In 2004, IGN acquired film review aggregator Rotten Tomatoes and in 2010, sold the website to Flixster. On August 3, 2010, IGN announced that the site would be changing to a new scoring scale. Instead of a 100-point scale, where games are scored in increments of 0.1, all future reviews will use a 20-point scale where games are scored in increments of 0.5. Under both systems, the maximum possible score a game can receive is 10.0. The scoring change is not retroactive: all scores on reviews written before the change will remain the same. This change also does not affect the scoring system for reader reviews. On September 13, 2012, IGN revealed that as part of their new review format all future reviews would now follow a 100-point scale again, but this time without using decimals, meaning a score of 8.5 would now be an 85. Unlike the previous conversion to the 20-point scale, this latest scoring system change will be retroactive and all previous IGN review scores will be updated to follow the new system. However, despite the announcement, the article included a short addition, post release. It stated that after much discussion, they have decided to retain the decimal point in all upcoming scores. In early 2014, IGN introduced a new policy, in which a game's review score can be re-reviewed and improved, provided that continuous updates form a significant change in the game compared to how it was at launch. Examples of games in which they are were re-reviewed were League of Legends and the pocket edition of Minecraft. In 2000, Snowball.com purchased an E-federation called the Internet Wrestling Organization (IWO). Since Snowball owned both IWO and IGN, IWO would go on to become IGN's first official E-Fed, even doing a column on the website. The IGN For Men section officially closed down on October 2, 2001 and is no longer updated. IGN has sites such as IGN Stars and AskMen.com that fulfill much of the function of the old IGN For Men site. IGN Wrestling met its end in early 2002, when many of the staff departed. Interviews with professional wrestling personalities and coverage of wrestling games has been folded into IGN Sports, currently headed by Jon Robinson. IGN Sci-Fi: Largely dead since 2002, this section of the site included movie news, comic book reviews, anime coverage and other associated items. It has since been discontinued. The site, SciFI.ign.com, now redirects to the recently created SciFiBrain.ign.com, which covers some of the content of the old Sci-Fi site. In 2002, IGN launched a dedicated videogame FAQs site specifically designed to host user-submitted guides. This was launched following the cancellation of affiliation with GameFAQs. In 2004, IGN launched GameStats, which serves as a more unbiased rating network, as it takes in scores from every corporately owned game rating site and averages them all into one score to give a general idea of the quality of a game. IGN also launched Direct2Drive.com in 2004. Its primary focus is selling digital downloads of full PC and Mac video games, as well as anime, comics and game guides. In 2005, IGN launched its comics site, which is devoted to not just the staple Marvel and DC titles, but also manga, graphic novels, statues and toys. In 2007, IGN launched its anime site. It provided features on anime and manga, including trailers and free episodes. It also included reviews of manga and anime from other sections of IGN, such as IGN Comics and IGN DVD. The anime channel was dropped after IGN redesigned the site. In 2008, the IGN Retro channel was launched to mark IGN's 10th anniversary. To coincide with the release of Super Smash Bros. Brawl, IGN created the Super Smash Bros. World site. On the site, people can submit their user created stages from the game and download ones made by other people. IGN subsequently launched a similar website called GTA 'Hood on April 29, 2008, for Grand Theft Auto IV. Along with their popular website content, IGN also publishes many different podcasts on both their website and on iTunes. Some of their podcasts include "Podcast Beyond" which is their PlayStation podcast with Max Scoville, Marty Sliva, Brian Altano and Andrew Goldfarb. Greg Miller and Colin Moriarty are the most acclaimed hosts of the show. Their Xbox oriented podcast is "Podcast Unlocked" with Ryan McCaffrey, Alanah Pearce, Destin Legarie, and Marty Sliva as the hosts. Nintendo Voice Chat is IGN's Nintendo podcast, hosted by Jose Otero, accompanied by Peer Schneider and Brian Altano. Game Scoop! is another popular podcast where they discuss news and topics surrounding the video game industry with host Daemon Hatfield, regular panelist Justin Davis and a variety of other IGN editors. Since 2006, IGN Entertainment began launching regional versions of the website for various countries and pan-regions. Initially, IGN began opening new offices outside the United States in order to support those regional websites, but later IGN began franchising its brand as a more cost-effective means of globalization, wherein it licensed various media publishers in many countries to use the IGN brand and manage regional websites on their own. When visiting www.ign.com from an IGN-supported region, the site automatically redirects visitors to their localized version using geolocation software, based on their countries' IP addresses. Each version of the site has a modified logo with their country's/region's respective flags near the IGN logo. However, it is still possible to access the original American website using a navigation bar on top or below (depending on regional website) the page's master template. IGN opened its first offices in the UK and Australia in 2006, which both share the same information as the American site but with added content authored from editors within each respective region. Other licensed regional publishers work on their own servers, albeit can link to IGN's HQ database, where they can import and/or translate articles, and use videos uploaded on IGN's servers that use IGN's own hosted video player. On May 16, 2012, in collaboration with the Emirati-based company t-break Media, IGN Middle East was announced for the MENA gaming community. The site replaces t-break Media's own ME Gamers website, which was formerly one of the largest Middle Eastern-based gaming media outlets that was originally launched in 2006. ME Gamers' entire staff converted their duties to IGN Middle East, importing and/or translating many of IGN's English articles, whilst writing up their own articles, especially for Middle Eastern-specific events. IGN Middle East is available in both English and Arabic languages. Whilst the site was initially launched to cover only video games, t-break Media announced in September 2012 that they started posting movie-related articles under the IGN brand as IGN Movies Middle East, merging most of the duties from their own ME Movies website, which was originally established in 2009, under a similar manner to their video game content. Unlike video games, however, most movie-related content will be in English only. On October 9, 2012, in collaboration with the Spanish-based media company Marca, IGN Spain was announced. The site effectively replaces Marca's own Marca Player gaming news website. Marca Player's editors converted their duties to IGN Spain, translating many of IGN's English articles, whilst writing up their own Spanish articles as well, covering various topics including video games, movies, TV series and comics. Marca also plans in the long run to eventually release another Spanish IGN website specifically for the pan-regional, Spanish-speaking gaming community in Latin America. On September 1, 2014, IGN Latinoamerica was launched. On April 11, 2016, in collaboration with Sankei Digital, the online publishing arm of Japanese newspaper publisher Sankei Shimbun, IGN Japan was publicly launched, and is expected to have a full scale release by summer 2016. The launch of IGN Japan is considered a critical development: In addition to translation of English articles, IGN Japan is hoping to also contribute much original content for other IGN editions from the Japanese end of the gaming industry, one of the world's largest video game markets with little mainstream journalism for Western media. On April 12, 2016, in collaboration with Pakistani-based Express Publications, IGN Pakistan was publicly launched. Pakistan originally shared some media coverage with IGN Middle East, and later IGN India, before spinning off to a completely independent IGN edition with focus on local gaming and pop culture events in Pakistan. IGN Pakistan is initially only available in English, but an Urdu language version is expected to launch later in 2016. ↑ "GamesNetwork.com WHOIS, DNS, & Domain Info - DomainTools". WHOIS. Retrieved 2016-08-16. ↑ "Contact - IGN Entertainment". Retrieved 31 May 2014. ↑ "Ign.com Site Info". Alexa Internet. Retrieved 2014-04-01. ↑ "News Corp. Acquires IGN for $650 Million". Bloomberg Businessweek. September 11, 2005. Retrieved 2010-08-25. ↑ "Gamefly, Inc. Acquires Direct2Drive from IGN Entertainment" (PDF). Retrieved 2011-10-24. ↑ "News Corp.'s IGN Buys Hearst's UGO In Preparation For Game Site Spin-Off". All Things Digital. Retrieved 4 February 2013. ↑ "News Corp.'s IGN Poised to Sell to J2's Ziff Davis". Wall Street Journal. Retrieved 4 February 2013. ↑ "IGN hit with layoffs; 1UP, Gamespy and UGO shutting down". Joystiq. Retrieved 21 February 2013. ↑ Graser, Marc (January 4, 2010). "Flixster buys Rotten Tomatoes". Variety. Retrieved 2014-02-07. ↑ "IGN: Playing With the Past: IGN Retro". Uk.games.ign.com. 2008-01-11. Retrieved 2009-08-26. 1 2 Sanz, David (2012-10-09). "Bienvenidos a IGN España" (in Spanish). IGN Spain. Archived from the original on 2013-12-12. Retrieved 2012-12-03. ↑ "IGN cancels IPL6 eSports tournament". GameSpot. Retrieved 2 March 2013.